Today's guest post is by Dr. Jane Rigby. 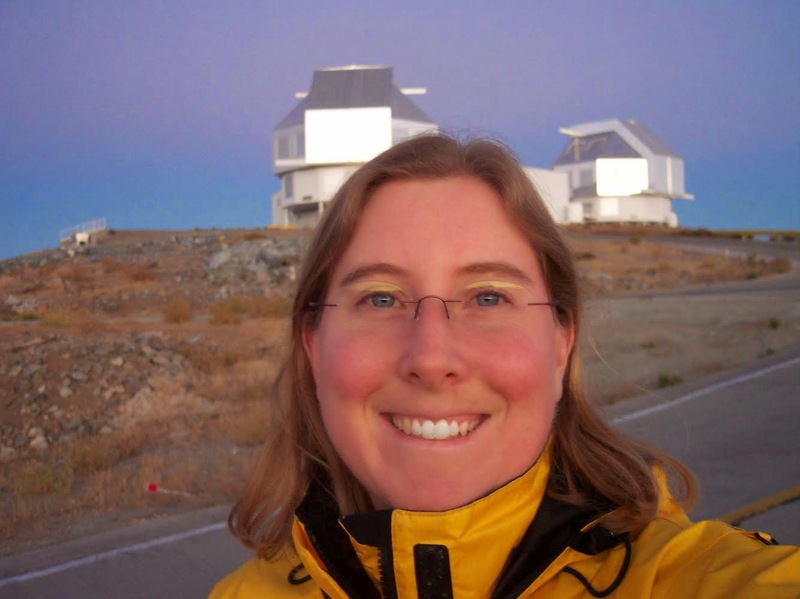 Jane Rigby is an astrophysicist at the NASA Goddard Space Flight Center, a contributor to Astrobetter, and a member of the AAS’s Committee for Sexual-Orientation & Gender Minorities in Astronomy (SGMA)). This is one of a series of regular monthly posts from SGMA. You know the experiment where you give first graders crayons and ask them to draw a scientist. They draw white men with beards. Given that, if we want to make STEM more inclusive, we need to change the “scientist” cartoon in peoples’ minds. On average and generalizing, my female colleagues give more public talks than my male colleagues. In part, I think this is a conscious effort on their part to make female scientists more visible to the public. A while back, my colleague Jason Wright (at my Alma Mater, Penn State) asked me a question about visibility for LGBTQ speakers in particular, and I responded. We did not come to any conclusions, so here we hope to start a broader conversation on the topic here that could inform LGBTQ colloquium speakers and their hosts. One reason that I'm trying to connect better with these groups is that we try hard to get a diverse set of speakers at our colloquia and seminars, but one dimension that is very tricky to be diverse in is LGBT. It's a conundrum, because even when we bring in out speakers, it is rarely obvious to those in the audience that they aren't straight, so there is basically no visibility to our LGBT students. One possibility I'd like to explore is to get our college pride groups involved in meeting with these scientists' and "sponsoring" their visits, if the speakers are amenable to that. Do you have any thoughts along these lines? Jason, you raise eye-opening points about visibility. I think back to the absolute lack of visibility of any queers on campus when I was at Old State. It made college more isolating and frightening than necessary. Things are better now, but you're right, while a student attending a talk on Queer theory will suspect the speaker is queer, the same is not true of a student attending a great talk on AGN by a queer scientist. So, what to do? My own solution has been that during the "eat pizza with the students" time before colloquium, I casually mention "my wife, who has an AstroPhD and works in the tech sector". This used to be an invitation for students to ask about the taboo subject of Gay. Lately, they're far more likely to ask about the taboo subject of Industry. In my public talks, during the question period, I may casually mention my wife, if there’s a natural way to do so. (For example, if I’m talking about how dark the sky was on a recent family trip.) By the end of my talk, the audience is hopefully grateful to me for sharing cool stuff with them. Maybe they'll be more open to realizing they now know someone who is gay, who gave them a gift. Even the more progressive folks in the room may realize that their mental picture of scientists could use an update. For me personally, getting an invitation from a hypothetical campus, I might feel awkward having a campus queer group sponsor my colloquium. It might feel like a quota? (This may be because the last time I gave a colloquium sponsored by a Women in Science group, almost none of the faculty attended.) But I'd be totally sanguine giving a colloquium and then a public talk, where the latter was sponsored by a campus queer group and the physics & astro dept. That would make clear, at least in my head, that I was giving the colloquium because I’m doing great science, and I was giving the public talk for reasons of public education and visibility. In addition, if I’m invited to give a colloquium at a university with an active oSTEM chapter, I may ask to meet with the oSTEM students. I don’t always do that (just as I don’t always meet with the undergraduate physics women’s group, or the AWIS, or the astronomy students, or any other group), but I have started trying to add an oSTEM visit in if possible. Jason, I recently gave the invited science colloquium (larger audience, more general talk, higher visibility than Astro Colloquium) at Hopkins' Applied Physics Lab. It was in June, and was specifically advertised as a 'Pride Colloquium'. They asked me to speak not only about science but also about diversity and my own "story”. This was a new experience for me, and while I was concerned about tokenism, in practice it worked great. If I had to guess, I'd guess that it worked because I now have the confidence that I'm a great speaker doing awesome science who is also LGBT, so I don't think I got invited because of that last part, and that confidence shows. I asked to meet with their LGBT affinity group, and had lunch with their senior leaders. It was a great experience. I was so proud to not only share the excitement of modern astrophysics, but also advance LGBTIQ visibility in science at a leading STEM organization with 10,000 employees.